Most periodontal affections and their consequences can be prevented through early therapy, thorough dental hygiene, awakened endeavour in the patient to take action and a long-term support through the medical staff. A periodontal disease can have negative effects on the entire body. 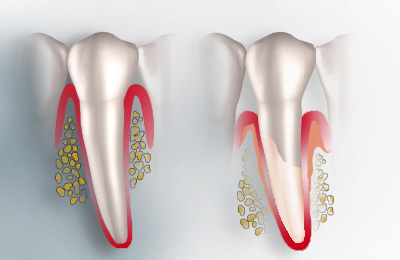 Inflammatory substances, which gather in case of periodontitis in the depths of the gums, building gingival crevices, can thereby be transported to other parts of the body through blood circulation, causing new affections. Periodontitis can, hence, impair the body on the whole. Early detection of a periodontal affection is essential and aids the entire body.